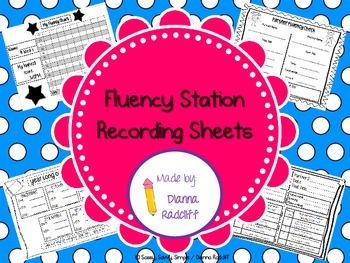 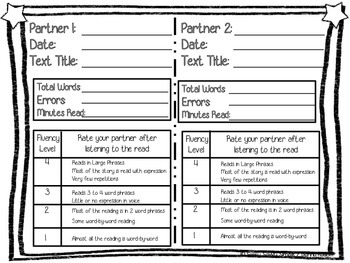 2 partner recording sheets, designed to be used during Buddy Reading and/or Fluency Center. 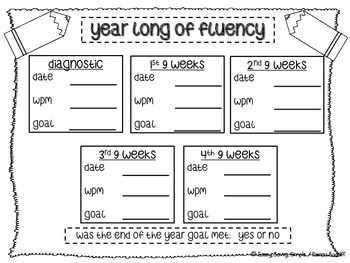 1 year long fluency record for teachers to keep with anecdotal notes. 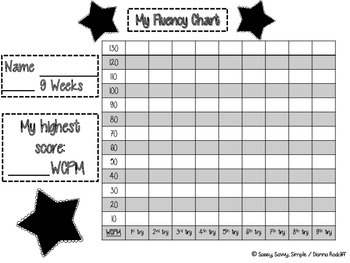 1 fluency chart per 9 weeks for student to track their data.